Cook up better, more productive workouts with these smart additions to your plan! Recipes are a wonderful culinary tool. With a list of foods and spices spelled out in exact amounts and clear instructions, a well-written recipe can lead you step by step to an amazing meal that's worth every savory bite. But recipes are good for more than just cooking! Here, with the help of four ErgoGenix athletes, we've assembled a no-nonsense six-ingredient recipe to help you turn your workouts into a veritable feast of muscle-building, fat-shredding results. Whether you're cooking a big dinner or planning a kickass workout, you need to be prepared well ahead of time by getting all the little things in order, says ErgoGenix athlete Tannis Gregory of New Brunswick, Canada. "I have two school-age children, and I work a full-time job," says Gregory. "To have everything run smoothly each morning, I make sure to prep a few things the night before. I clean the kitchen, as it's a huge distraction to me in the mornings if it's not tidy. I set out my workout clothes in the bathroom so I don't worry about waking anyone else in the morning when it's time to get ready for the gym." Her prep doesn't end there, though. "Because I work out at 5:30 in the morning, I'm awake at a quarter to five," Gregory continues. "To get the rest my body needs, I aim to be in bed and asleep before 9:30. With a good night's sleep, it's so much easier to get ready and out the door without too much effort." "If your mind isn't focused on your workout, you're just wasting your time," says ErgoGenix athlete Joe Banaszek, a contracting officer for the U.S. Air Force in Tampa, Florida. "So the day before or the morning of each workout, I mentally formulate my plan." While most people have a long-term goal—get shredded, or pack on 10 pounds of new muscle mass, or bring up a body part—you also need smaller, achievable goals to nudge you along that path. "I may tell myself that tomorrow, my goal is to accomplish last week's workout with 10 extra pounds added to each major lift, or adding at least 2 reps to each set," Banaszek says. "Maybe I want to bench 315 for a set of 5 on Wednesday, or maybe on shoulder day I'm going to use only kettlebells instead of a barbell or dumbbells. Whatever that goal may be, I write it down, giving me something to shoot for." Make it non-negotiable—write out at least one goal for every workout. You can do that! But the writing-it-down part matters, so don't skip it. Once Banaszek started writing down these goals before training, he says, his results ramped up considerably. What's the most important ingredient in your pre-workout? The most common answers are caffeine and beta-alanine, because those are the ones you can feel working. But don't discount the importance of the powerful vasodilator citrulline malate. Citrulline malate is part of the class of ergogenic aids that boosts nitric-oxide levels in the blood, ultimately leading to vasodilation of the blood vessels and greater blood flow to the working muscles. "L-citrulline is a non-essential amino acid that, when combined with malate, can lead to improvements in performance during repeated bouts of high-intensity exercise, like resistance training or sprints," says Bodybuilding.com science editor Krissy Kendall, PhD. [1-3] "There's also research suggesting it can lead to increases in maximal strength, peak power, and explosive power." How does it all work? As Kendall explains, L-citrulline facilitates the clearance of ammonia, a metabolic byproduct produced in the body during intense periods of activity, while malate limits the buildup of lactate. "Taken together, citrulline and malate can lead to a significant reduction in the sensation of fatigue and increase energy production during exercise," says Kendall. "It can even reduce post-exercise muscle soreness following intense exercise." To maximize the benefits of this powerful nutrient, it's typically recommended that a user take 6-10 grams in one dose 30-60 minutes before a workout. "Citrulline malate also pairs well with caffeine, since both can help combat fatigue and deliver more energy throughout your workout," Kendall adds. In addition to your pre-workout supp, you'll want to fuel up with some calories, usually in the hour or two before your workout. It doesn't have to be a lot. For most people, around 20 grams of protein will suffice, either in a shake or from food. Greek yogurt is an easy option, or a handful of nuts alongside a string cheese. Unless you're on a strict fat-loss diet, you can also carb up with a piece of fruit or other simple-sugar option. "My workouts require a lot of energy, so I need to ensure I can sustain the effort the entire time," says ErgoGenix athlete Kelley Smith. "I've experimented to see what works for me, and I always have a small snack and ErgoPRE before heading to the gym. That means a couple of rice cakes with a serving of peanut butter; this provides just enough calories to keep me from getting lightheaded without leaving me feeling too full during my workout." Intensity-boosting techniques can take almost any standard exercise and make it harder. They push your muscles to the point of momentary failure, sometimes beyond. Placing such stress on your body prompts a physiological and hormonal response, allowing you to repair and rebuild before taking on the challenge next time. The most common techniques are supersets, forced reps, negatives, and dropsets. 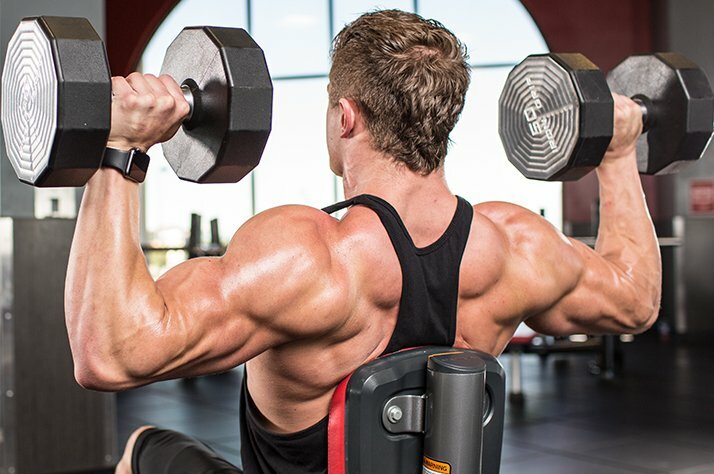 Supersets, trisets, and giant sets: Pair two, three, or four exercises back to back with little to no rest in between. Forced reps: Your training partner provides a touch of assistance after you've reached failure at the end of a set, giving you just enough help to complete a few more reps. Negatives: Once you can no longer lift a weight, a partner assists you completely with the rest of the movement. Then, lower the weight as slowly as you can. Drop sets: Work to failure on a set, then immediately reduce the weight 20-30 percent and continue to failure again. You can do one or several drops. ErgoGenix athlete Zachary Turlock is known to take this final technique to the extreme. "Most people will incorporate dropsets into their workouts only during the last set of an exercise," he says. 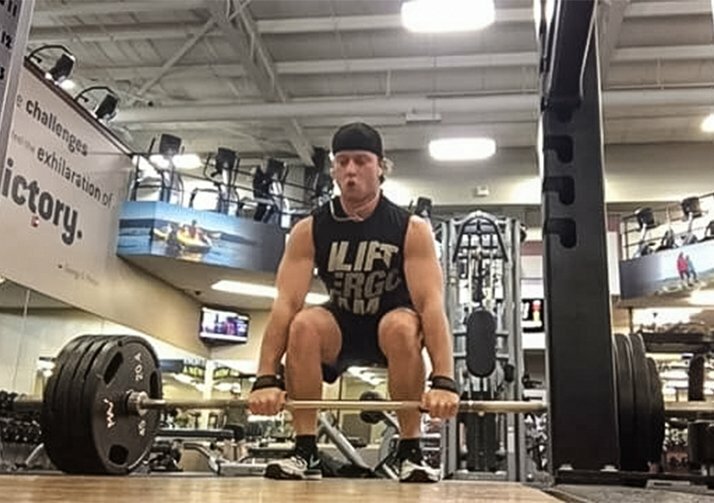 "However, I find that a great way to elevate my workout is to sometimes—definitely not every time—perform dropsets for every set throughout the entire workout. By doing this, I increase my overall rep count drastically and take each set to failure. It's not an everyday thing, but it will give you a pump like you've never felt before." Every chef has his or her favorite secret way to spice up a recipe. As the person performing your workout, you have the privilege of doing the same! "Consistency is crucial, but you should save room for variation in your workouts," says Turlock. "Include slight variations in your exercise choices to help build your muscles more fully, which will give you more of a three-dimensional appearance." These changes can be as small as changing the grip from palms-up to palms-down or neutral (palms facing each other). It could mean trying a new bench angle, taking full advantage of the different clicks on an adjustable bench for presses or flyes. Each small detail results in a slightly different stimulus applied to the targeted muscles. You may even consider switching the order of your exercises. "If you start every chest day with flat-bench presses, your body will become accustomed to it and stop responding eventually," Turlock points out. "But you can do inclines first instead, or even put flyes first for a pre-exhaust effect. By rotating the order in which you perform exercises, your workouts won't become stagnant. Your body continues to adapt, and that stimulates further growth." If you're bored with your workout, it's a good chance your muscles feel the same lack of enthusiasm. Keep an open mind, and don't be afraid to rewrite the script. It might be just the secret you've been looking for. Glenn, J. M., Gray, M., Wethington, L. N., Stone, M. S., Stewart Jr, R. W., & Moyen, N. E. (2015). Acute citrulline malate supplementation improves upper-and lower-body submaximal weightlifting exercise performance in resistance-trained females. European Journal of Nutrition, 1-10. Wethington, L. N. (2016). The Ergogenic Effects of Acute Citrulline Malate Supplementation on Weightlifting Performance in Trained Females. International Journal of Exercise Science, 11(3). Glenn, J. M., Gray, M., Jensen, A., Stone, M. S., & Vincenzo, J. L. (2016). Acute citrulline-malate supplementation improves maximal strength and anaerobic power in female, masters athletes tennis players. European Journal of Sport Science, 16(8), 1-9.